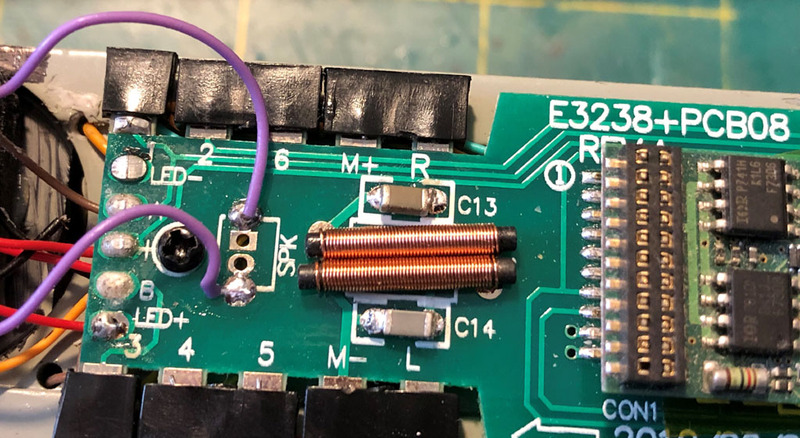 Installing a DCC decoder into a DCC-ready model should be quite painless and simple, but from time-to-time you may come across a model where you think you've done everything correctly, but the motor control is poor or non-existant. Perhaps the sound works, and lights function OK, but the motor just doesn't go properly. This is actually more common with the better decoders, like Zimo, and less likely to be encountered with a cheap decoder. 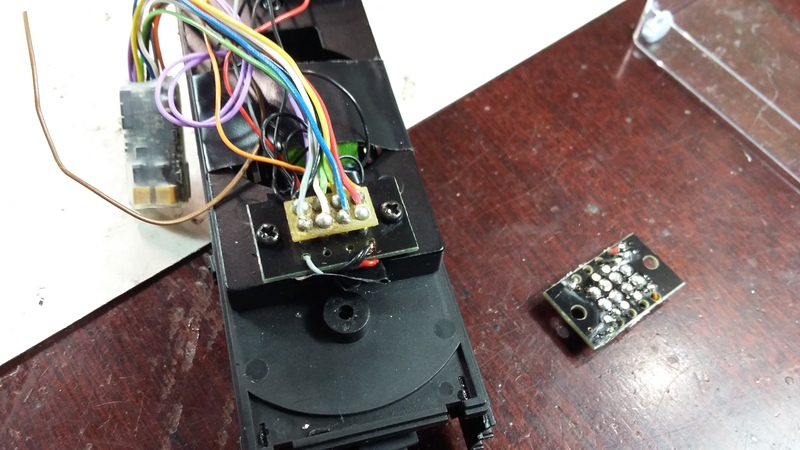 The reason for this is because of a clever feature called BackEMF - a technique employed by the decoder to measure the actual current draw of the motor, feeding this information back in to produce ultra-smooth motion. BackEMF measurement is achieved by interrupting the motor output, converting it to an input for a fraction of time, gathering that information and using it to adjust the output again. This is done constantly as you drive the locomotive, performing these tiny measurements almost invisibly. The rate and frequency of the sampling can be controlled by the more sophisticated decoders, like Zimo, as a poorly matched sampling rate can cause the motor to sound noisy, or to give jerky motion, but generally speaking, out-of-the-box, Zimo decoders will use this technique to great effect on most modern models. Sometimes it is simply a case of tuning the BackEMF CVs, which are CV#56 for the sampling rate and style, and CV#58 for the intensity (how much the feedback is used to influence the motor output control). You can read more about these in the Zimo decoder manuals. It can be a useful test to temporarily switch off the intensity (CV#58=0) and test to see if the motor responds where perhaps it didn't with BackEMF switched on (CV#58=255). 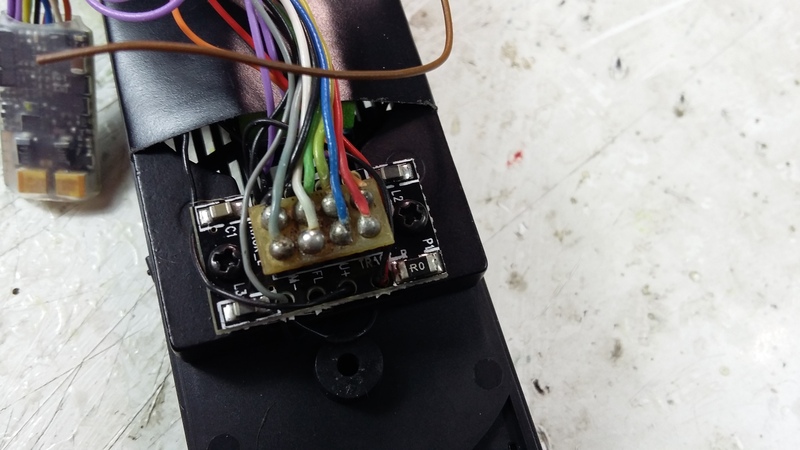 More often, there is something physical about your model that prevents BackEMF from working correctly - most likely some noise suppression compontents fitted across the motor terminals, which need to be removed from the model in order for BackEMF to give sensible results. 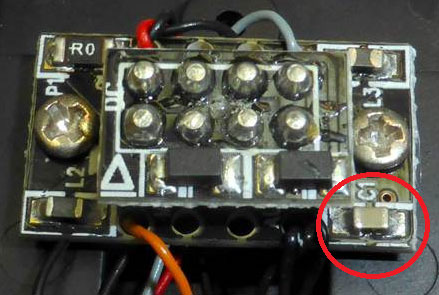 You'll often see small yellow capacitors across the terminals, which can simply be snipped out. The manufacturers only included these for DC/Analogue running. 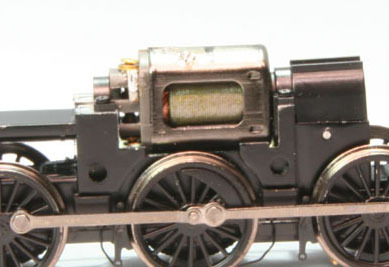 Hornby produced a number of steam locomotives which had these noise suppression components on the 8pin DCC socket board as tiny surface-mount components, so they are not obvious, and it is harder to understand what you need to remove. The LSWR S15 models are such an example of this. 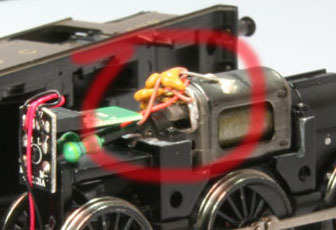 Hornby's advice is to cut out the components marked 'C1' from one corner of the board - this seems to do the trick! 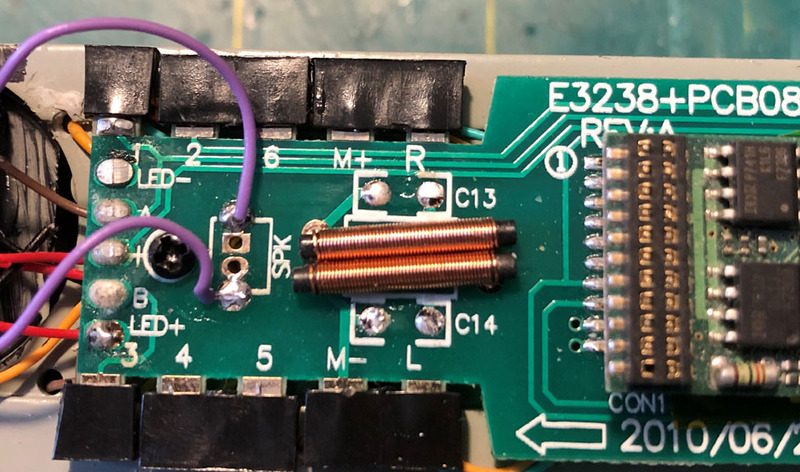 Another alternative is to remove the 8pin socket board supplied and put a basic one in instead, or to simply remove it altogether and hard-wire a decoder - any of these solutions will work - it is just a matter of which approach you are more comfortable with.